We've known about Instagram's plans to add offline capabilities to its app for a couple of months, and yesterday the news was made official at the Facebook Developer Conference (F8). 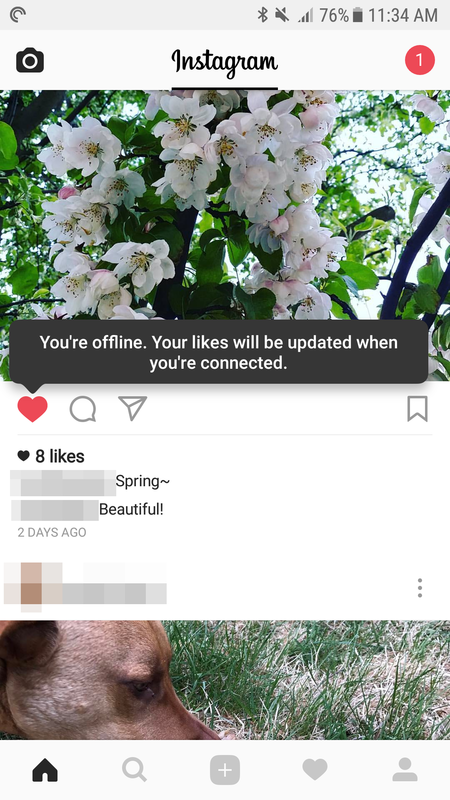 Instagram is testing offline mode in regions with limited bandwidth to make the app more approachable and adapted to the demands of users there. According to the company, 80% of its community is outside of the US and many of these users are on lesser optimized networks, so making sure the app works when there's slow or no connectivity became a crucial feature to implement. The way this works is when you're offline, you can still view the preloaded content and several of the app's sections (feed, explore, personal profile, previously visited profiles, etc) and you can interact with them. 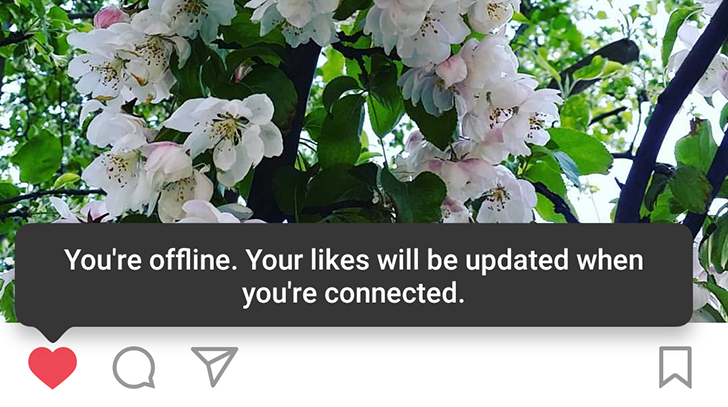 Liking, commenting, saving, following, and unfollowing, all of these can be done while offline then scheduled to apply when you're back online. The first time you perform any action offline, you get a nice message explaining that your interactions will be updated when your device gets its connectivity back. 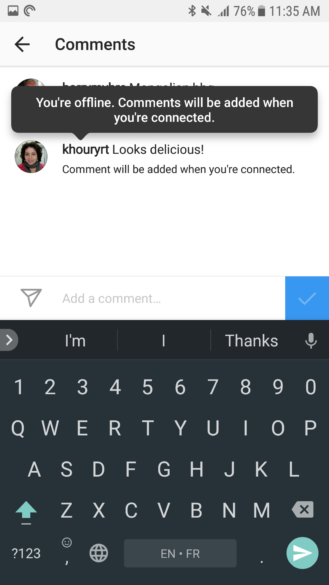 The feature should already be live on the Android app; I tried it on my phone in Lebanon and it worked, but your mileage may vary. Instagram says this is in testing with "people in low-bandwidth regions," which is exactly my case, so let us know if you see it in your area too.